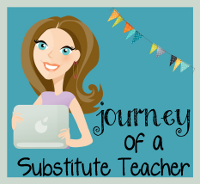 Hello from Beth at Thinking of Teaching....yes, it has been a long time. I hope everyone is settling into their new school year and have been enjoying the cooler fall weather (at least it's getting cooler here in Ontario). I have been busy as well...but not doing as much teaching as the rest of you! I actually only returned to work for the first 2 weeks and am now off on mat leave. That's right, I'm expecting my second child at the beginning of November. While I'm off I have been taking the time to clean my house (who knew how easy it was to get done when you don't have to work all day! LOL), get things ready for the baby and of course, read blogs! One of my goals this year while I am off, other than raise a brand new baby, is to organize all the ideas I've been pinning, liking, saving, etc while reading through all the great blogs out there. 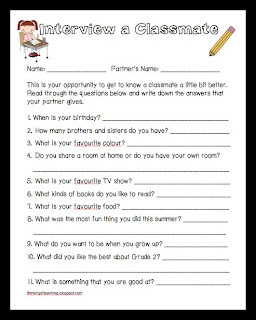 I've started with looking at my Writer's Workshop program and gathering ideas for how I would like it to look and run. It seems like I re-vamp it every year and am just never happy with it. 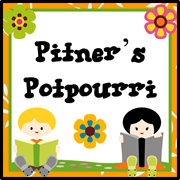 I've put together a post with some great ideas I've discovered and a FREEBIE that I've created. 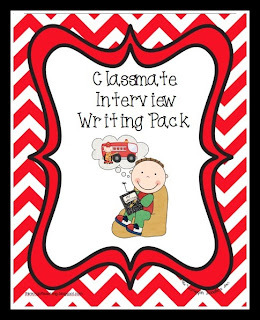 It's a Classmate Interview Writing pack that can be used as a diagnostic tool at the start of the year or as a jump into your Writer's Workshop program. 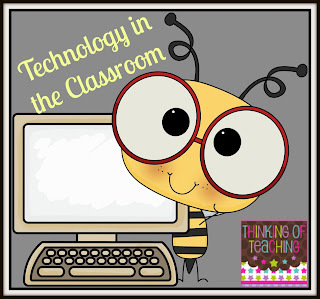 Also, if you're not a follower of Thinking of Teaching I'd love for you to come on over and see my first technology post where I wrote about a great new app/website called Class Messenger. That's awesome, Beth! Can't wait to check out your technology post! Ten Apples Up On Top Freebie! It's Not Nice to Tease!! FREE FONT and a BLOGIVERSARY!